Biography: Nicola Hurst pursued the Arts and graduated from Middlesex University with an honours degree in Jewellery. 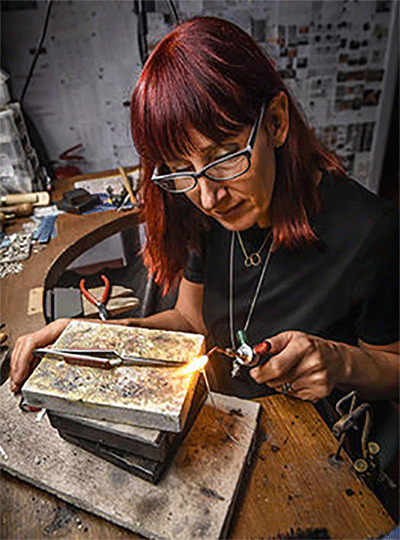 Having lived in the Home Counties engaging herself in designing and making jewellery from three successive workshops; distributing to galleries all over the UK and specializing in commission work. She returned to her native Plymouth after a period of 20 years. It has always been her dream to have her own gallery and workshop and this dream was fulfilled at Nicola Hurst Designer Jewellery in Hyde Park Road, in 2006.